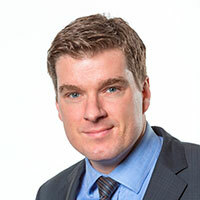 Sven Roehl is the Head of Insurance Innovation of msg Group and Executive Vice President of msg global solutions Canada Inc. Combining a mix of business strategy and technical innovation, Sven has worked with insurers globally for more than a decade to successfully develop and implement telematics and IoT strategies and products. As the Head of Insurance Innovation Sven also manages the product development of the IoT Analyzer (IoTA) which utilizes the power of SAP Vehicle Insights.